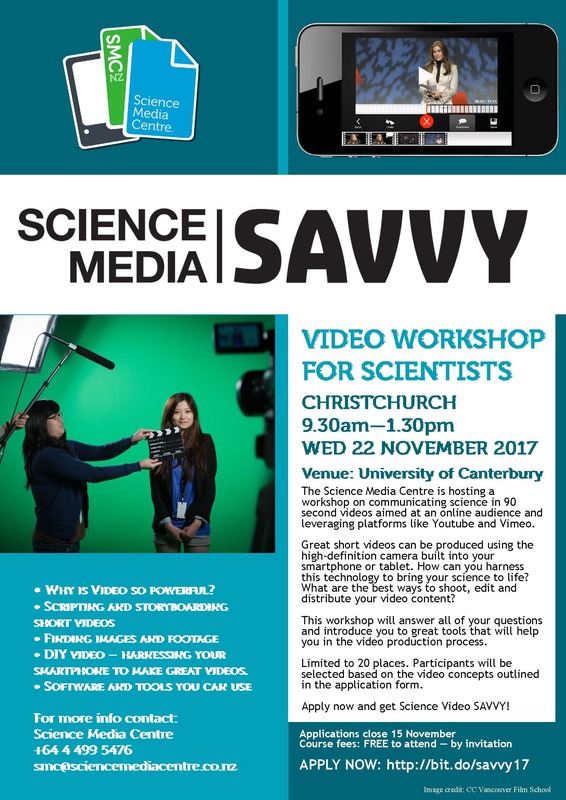 The Science Media Centre will be at UC for its popular science video making workshop which offers researchers the chance to get science video savvy. These Science Media SAVVY workshops focus on giving scientists the tools and skills to communicate their research in 90 second videos aimed at an online audience and leveraging platforms like YouTube and Vimeo and news websites like Stuff and Herald Online. Video production expert Baz Caitcheon knows exactly how to get the best out of smartphones and video editing apps and has trained Fairfax Media journalists in smartphone-based video production. He will answer all of your questions, give you some hands-on demos and introduce you to great tools that will help you in the video production process. You will gain experience shooting footage and developing a video concept. PLUS: In the weeks following the workshop, Baz will mentor you to help you on the path to producing your first science video! Download this science video – storyboard template to help you plan your own science video. The workshops are free to attend, but limited to 15 places – university and CRI researchers get top priority. Stress, poorer academic outcomes, and low self-esteem are some of the costs of procrastination. At this workshop, you will learn research based strategies to reduce procrastination. To ensure this workshop runs, pre-enrolment at least one week before the workshop is advised. For more information contact workshop tutor Cathie Edwards, phone 021 234 0377 or click here. 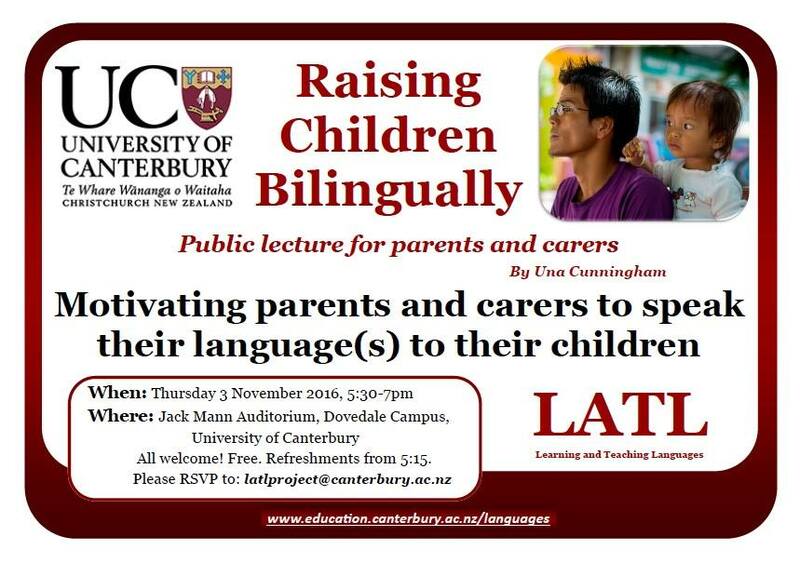 Why should parents speak their language(s) to their children? Come and find out what the research says and share your experiences.